Maylin Meisenheimer is a research associate for Asia Studies at the Council on Foreign Relations. Being a woman is hard, but being a woman in China is getting harder. In some ways, women in China are doing great. They’re graduating from college at higher rates than men, and there are more self-made female billionaires than in any other country. But at the same time, they’re receiving mixed messages from the government and society. There is still rampant sexism in the workplace, and the government has started a campaign to encourage women to return to traditional roles and embrace “good family virtues.” Even positives like improved maternity leave policies have backfired, leading to further discrimination in the job market. China’s rapidly aging population and gender imbalance have led to looming demographic and societal issues, and women are caught in the crosshairs. For decades, China has had a population problem. First, the population was too big—cue the one-child policy—then the population was too small. As a result of almost four decades of its one-child policy and increases in average life expectancy, China is aging faster than any other country in the world. This has led to a smaller labor force and more dependents; and in 2025, the overall population will begin to decline. In an effort to combat the aging problem, Chinese leaders passed a two-child policy in 2016 and anticipated a spike in birth rates, but they were sorely disappointed. The fertility rate still hovers around 1.6, lower than the U.S. rate of 1.87. Even Brazil, which has a similar GDP per capita to China, has a rate of 1.75. Furthermore, Chinese parents have traditionally preferred boys over girls, leading to a massive gender imbalance. In 2017, men outnumbered women by 33 million, and the male to female birth ratio was 115 boys for every 100 girls, one of the most skewed in the world. In an effort to encourage women to have more children, the Chinese government passed improved maternity leave policies in 2016; paradoxically, these initiatives have actually made it harder for working women. In 2012, new mothers were given ninety-eight days of paid leave, but in 2017, the average increased to 138 to 158 days, depending on the province. Although the government helps subsidize some of the increased cost, the law requires that employers provide paid maternity leave to employees, increasing their operating costs. Furthermore, little has been done to improve paternity laws, meaning the burden of childcare is still on women. This skewed system encourages employers to favor male applicants and workers. Reports are emerging that 54 percent of women have been asked in job interviews if they are married, pregnant, or planning to have children. A survey by Zhaopin.com, a Chinese job recruitment site, reported that 11.5 percent of women felt that they had lost promotion opportunities because of pregnancy. Additionally, 40 percent of working women reported that they were reluctant to have children and 62 percent of women with one child did not want to have another. 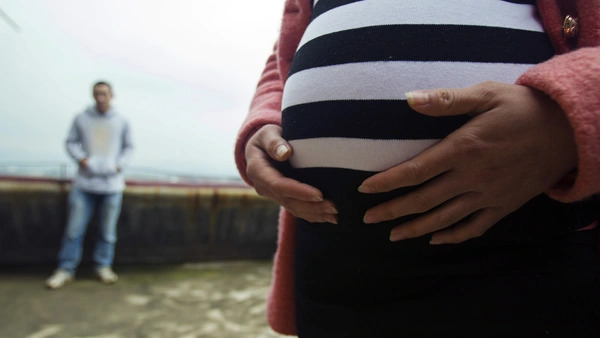 Of the women who said that they did not want to have children, 35 percent said it was due to “concerns over career development.” Some companies have said that they specifically hire women who already have children to avoid the additional financial burden that the improved maternity laws impose. In addition to the problems around maternity leave policy, Chinese women must battle discriminatory attitudes and practices in the workplace. Recent reports have shown that gender discrimination is still deeply entrenched in China’s job market. A Human Rights Watch report found that 19 percent of civil service job posts in 2018 indicated “men only” or “men preferred.” Additionally, many job posts listed height or weight requirements for female applicants, and some posts used the attractiveness of female employees to lure male applicants. Additionally, the monthly average salary for women is 22 percent less than men. Clearly, Chinese women are still facing blatant sexism in the workforce, with or without children as part of the equation. China has hit a complicated time: women outnumber men in universities and the percentage of women in the workforce is higher than that of the United States, but the government is encouraging women to “go home” and have more children. An etiquette class at Zhenjiang College exemplifies the challenge for young women about to enter the workforce. Female college students enrolled in the course learn how to be a “perfect” woman, with classes ranging from makeup application to Chinese oil painting. Chinese women are facing increased pressure from society and the government to embody these traditional gender roles, but this will be to the detriment of China’s economy and labor force at-large. It’s estimated that China could increase its GDP by $2.5 trillion if women reached full gender parity, and with more women graduating from college then men, it would be in China’s best interest to include them in the workforce. Yet the looming population issue and uneven gender ratio has resulted in the government encouraging women to take a step back. If China really wants to help women in the office and at home, it needs to re-evaluate its current policies. First, it should help subsidize the increased cost of maternity leave so that companies are more willing to hire women. Additionally, it needs to address the current paternity leave policies and encourage men to take on more of the burden of care. Furthermore, China should pass stronger and more specific workplace non-discrimination laws. Discrimination is technically prohibited via China’s participation in international human rights treaties and through other domestic laws. However, most lack a specific definition of gender discrimination, and the penalties for breaking them are insignificant. If China really wants to solve its population problem while ensuring that the economy reaches its full potential by achieving gender parity, it should address these flawed policies and strengthen working women’s rights.